The most popular degree program for foreign-bound students continues to be management studies or MBA. The US, being the pioneer of the modern management methodology and MBA teaching is the preferred destination, with some of the world's best MBA management/business schools being located there. 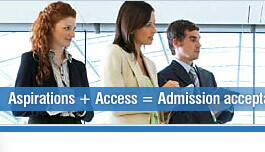 The management studies or MBA requires the aspirants to take the Graduate Management Admission Test (GMAT). This test can be taken online or at any of the centers worldwide and is the basic criteria for undertaking MBA studies at a recognized university abroad. MBA aspirants who are not native English speakers also have to take the TOEFL or the IELTS test as per requirements. Top ranking MBA schools seek certain managerial/leadership traits in their students. These include leadership, ability to work in teams, cultural adaptability and career focus. This is the reason why most application essays of top schools confine themselves to seeking detailed responses to these qualities. The MBA/management schools now offer flexible and full-time options to students to cater to the need of full time professionals as well as those students who take a break from their career to pursue MBA studies. This is why the executive MBA, weekend MBA, accelerated MBA etc have become so popular. 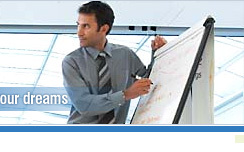 India has made its presence felt in the highest echelon of globally revered MBA schools. The Indian School of Business (ISB), Gachi Bowli at Hyderabad (which has been ranked 20th in the top 20 list of world's best MBA schools by the Financial Times, London 2008 list) and not to forget the chain of much sought after IIM's.